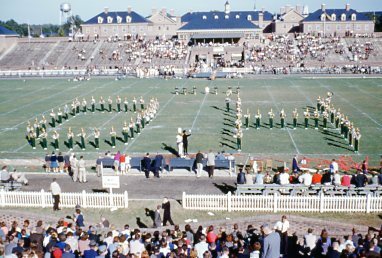 A year after Janet, Karen, and Lynn began their studies at the College, Warren Winston began his college football career at William & Mary in 1968. He was the university's first African American scholarship athlete and the first African American on the football team. Warren Winston was recognized more so for his incredible contributions to the team than the color of his skin. He started all three seasons he was eligible to play and received a game ball in 1971 for his performance against Davidson College. After graduating, Winston served as a graduate assistant coach for William & Mary for one season. After attending graduate school at Virginia Commonwealth University, Winston taught sociology and served as an assistant coach at Bowie State. At the 2017 Homecoming game against James Madison and in conjunction with the 50th Anniversary of African Americans in Residence, Warren Winston served as an honorary captain for the football team. 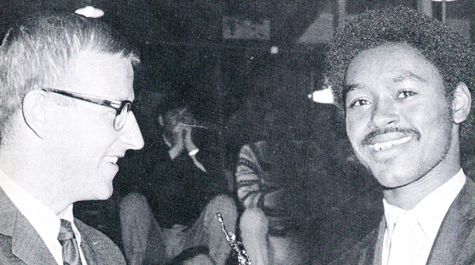 Untitled: Warren Winston and Coach Lou Holtz (left), circa 1970s. Special Collections Research Center, William & Mary Libraries. , “Cary Field,” TribeTrek, accessed April 26, 2019, https://tribetrek.wm.edu/items/show/98.